Learn More about Dental Implants with Dr. Colquitt in Dallas! If you have one or more missing teeth you're likely well aware of the effect the lack has on your life. Whether it's practical issues like the ability to chew certain kinds of food, or more personal ones, like being self-conscious about visible gaps -- having missing teeth presents problems. Dental implants can solve multiple dental problems related to missing teeth; they look and function just like natural teeth, and they're durable and long-lasting, so you can enjoy a beautifully restored smile for years to come. At the office of Jeff Colquitt, DDS we’re proud to be your home for dental implants in Dallas, T X. 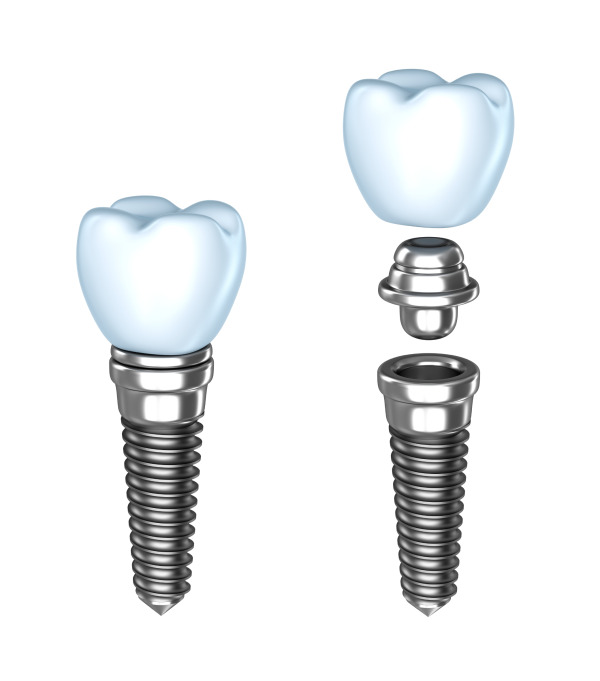 We offer several options for getting dental implants, including both single implants and implant-supported dentures. No matter if you’re missing all of your natural teeth in one or both arches, or even a single tooth – we can help. Single Implants – If you’re missing one tooth, your options are typically a partial denture or a fixed bridge. But these prosthetics can cause damage to surrounding teeth, and don’t look as natural as an implant. A dental implant is the only independent tooth replacement that both looks like your own teeth and supports your oral health and function. Implant-Supported Dentures - We can also fit implant-supported dentures, a kind of denture that permanently anchored to dental implants. These full-arch teeth replacements are much more securely fixed than conventional removable dentures, which eliminates problems like denture slippage and loss of biting and chewing power. Dental implants and restorations are perhaps the most life-changing type of dental treatment available for people with missing teeth; they restore full oral function and look just as natural as your real teeth. Dr. Colquitt has always been driven to provide superior dental services, and this led him to the Misch Institute, where he completed extensive post-graduate work on implantology. As a result, he has a rare level of expertise when it comes to fitting and placing dental implants. Your initial visit is a consultation at which you'll be assessed to determine whether you're a suitable candidate for dental implants, and what kind of implants might be best for you. The assessment involves x-rays to look at your jaw bone, to determine where implants can be placed for superior stability. The second stage involves a surgical procedure to place the implant posts in your jaw bone. After this session, healing time is allowed to give bone time to naturally integrate with the implant posts, before the next phase of treatment. As a last step, your tooth restorations are fitted. We place importance on making sure your restorations are perfectly placed so that they are functional and comfortable, and look natural. If you're interested in a consultation or would like to learn more about dental implants, give us a call to schedule an appointment at our Dallas, TX dental office.